David Trone staffers leaked another email to A Miner Detail that reveals an unnerved Trone, angry at his campaign staff over a scheduling mishap surrounding the annual Montgomery County Minority Legislative Breakfast. Trone, a former CEO of Total Wine & More, fired off a curt email to his senior staff on Dec. 11, 2017, grumbling over a staff recommendation that his wife, June Trone, attend the annual Montgomery County Minority Legislative Breakfast with him. Trone said that he saw that his staff signed up his wife for the breakfast but decided it was a waste of her time to be in attendance for the early-morning gathering. Trone’s reasoning: Most of his staff was already going. Grace Rivera-Oven, Trone’s former campaign policy director, apparently convinced Mrs. Trone that her presence at the breakfast was needed, according to Trone, which, apparently, defied Trone’s wishes. Trone says that while his wife could have stayed home that morning, he “allowed” her to come with him. Rivera-Oven, now an at-large Montgomery County Council Democratic candidate, resigned from Trone’s campaign in late January. Unconcerned over whether Mrs. Trone’s presence at the breakfast added value to his campaign, Trone was decidedly more perturbed over his staff’s apparent insubordination, emphasizing in no uncertain terms that he’s the boss and his staff must follow his orders. Trone told his staff that if they disagree, contact him, explain their disagreements and maybe he’ll change his mind – but defying him is a non-starter in his campaign’s chain of command. “If you disagree, that is great, contact the boss, tell him your reasons and I am happy to change my mind, but it is passive aggressive, it is wrong, it is insubordinate for you to do whatever you want, and even more so when it comes to someone who is my life,” Trone scolded. Near the end of his lambasting memo, Trone writes that his “time is super valuable” and that his campaign has to do events “that are truly value added” and worth his time. Directing his staff to stay within their respective lanes, Trone assigned staffers to reach out to specific groups and minority communities. “Grace your position is if it is a Latino event it is important and we must be there.” Trone wrote that Latinos are 4% of the vote in Maryland’s 6th Congressional District. 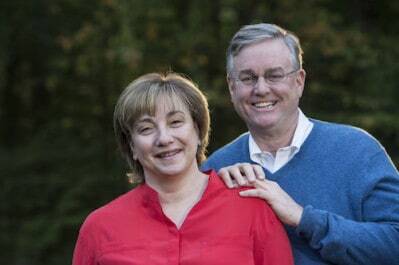 Trone is considered one of the leading Democratic candidates to succeed outgoing Rep. John Delaney (D-Md.). The primary is June 26. A Miner Detail shares the leaked Trone email.